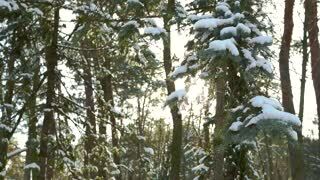 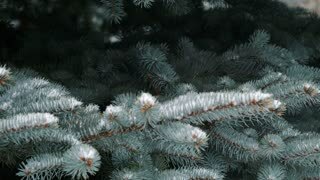 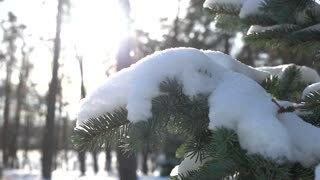 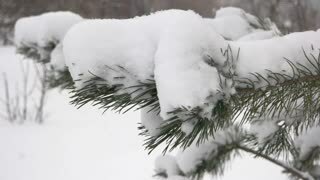 Close up view of snow falling on branches of pine tree. 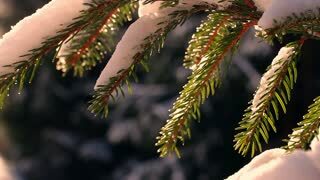 Branch of Christmas tree with snow close-up. 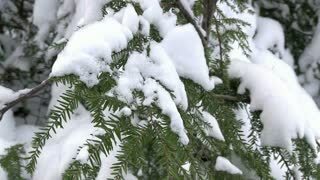 Snow on spruce branches. 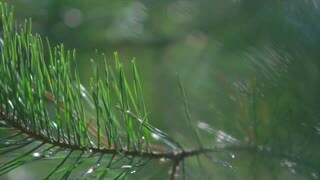 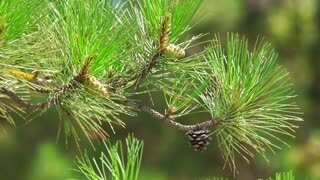 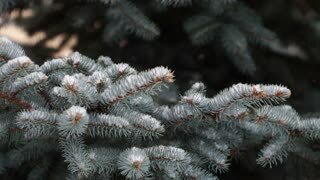 Evergreen tree close up. 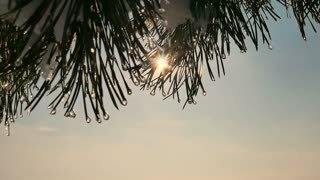 Pine branches and sun. 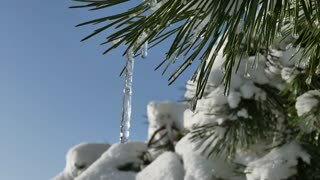 Tree and snow.